As I am about to start with my cardigan I thought I do this as a sew along so you can follow all the steps and possible mishaps too! Sewing a cardigan certainly requires different techniques from what we learned in home ec and through traditional sewing books. 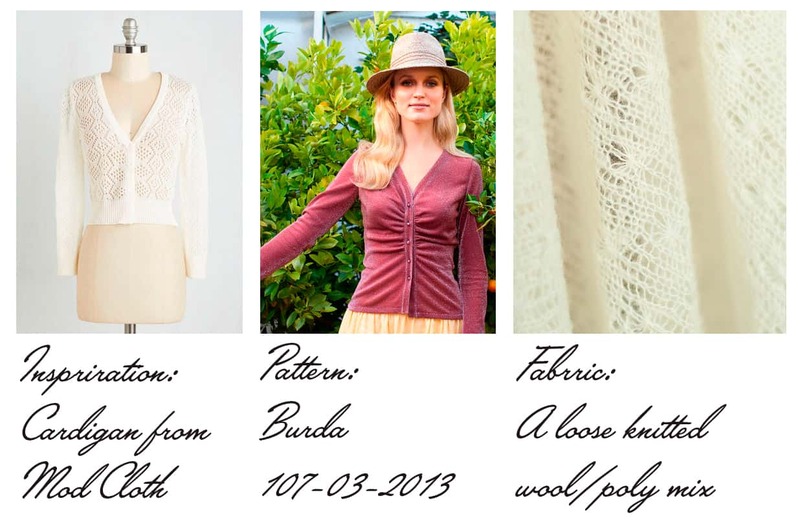 Also I don’t trust the instructions for knits from some of the big pattern companies (Burda and the Big 4 comes to mind) as they often rely on sewing methods that are more fitting for woven fabrics. So for this project I will rely on some reverse engineering using a ready to wear cardigan that is made of regular cotton jersey and sewn together in a way that is similar to a t-shirt. 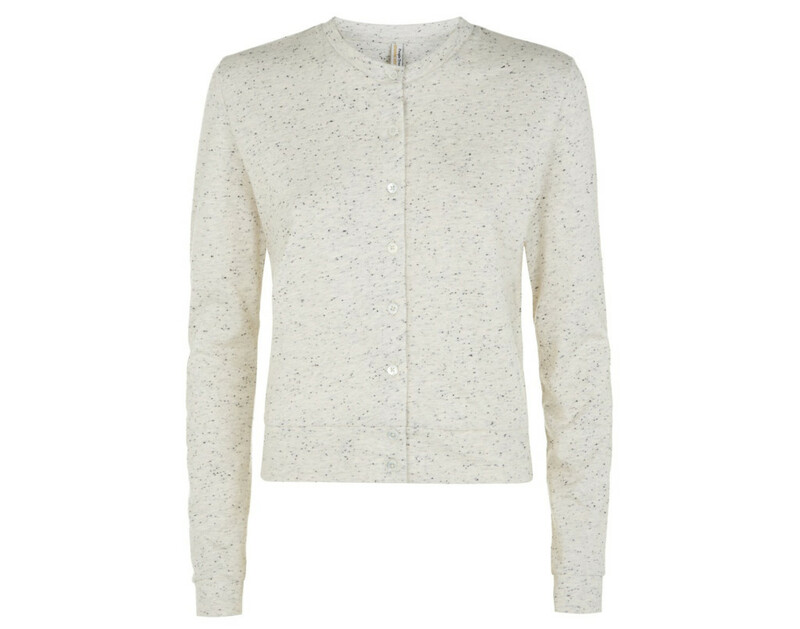 Most store bought cardigans tend to be fully fashioned (i.e. consists of machine knitted pattern pieces just like a hand knitted garment would be). But this cardigan from People Tree is actually made using regular fabric. I highly recommend the People Tree brand, all clothes are ethically made and they use mostly organic fabrics too. Plus the designs are great too! The trick here is that there are no topstitching at the bottom or at the top end of the button placket. Instead all the pieces are turned inside out and serged together. If you look at the waist of a zip up hoodie, a similar technique is used. I have tried this a couple of times on hoodies, but this will be the first time on a cardigan. I think it will be quite fiddly, so I don’t expect it to look as neat as on this professionally made cardigan. As for the shoulder stabilization a clear silicon elastic is used, which is also the method I prefer and will use for this project. And last but not least, the back neckline seam is covered with a fabric strip. This is a nice touch but can be hard to do perfect. 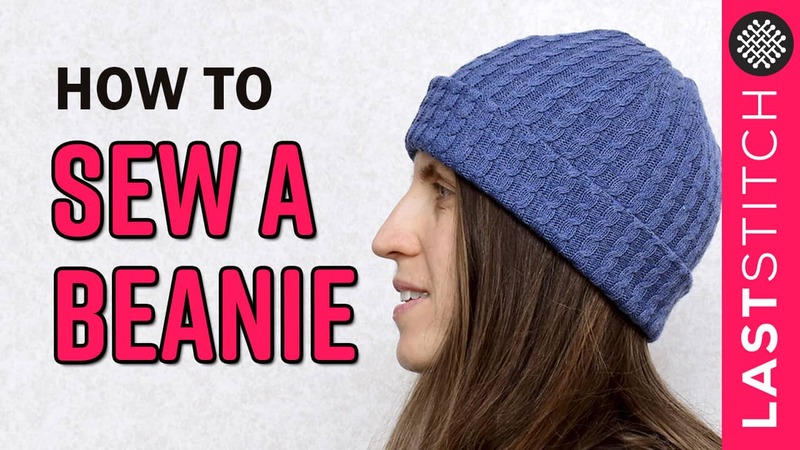 Some high end garments use a twill tape instead, and this looks like a good tutorial for that. But I won’t be using the fabric strip method for this cardigan as the loosely knitted fabric doesn’t really jive with trying to attach a ribbon strip.